The Christmas tree in the newly renovated lobby of Piper’s Landing Yacht and Country Club was beautifully adorned with decorations, and the philanthropic spirit of the residents and staff of Piper’s Landing was clearly visible under the tree. It became the gathering spot for 150 toys, including seven bikes, and nearly $1,500 in monetary donations for local children in need during the holiday season. 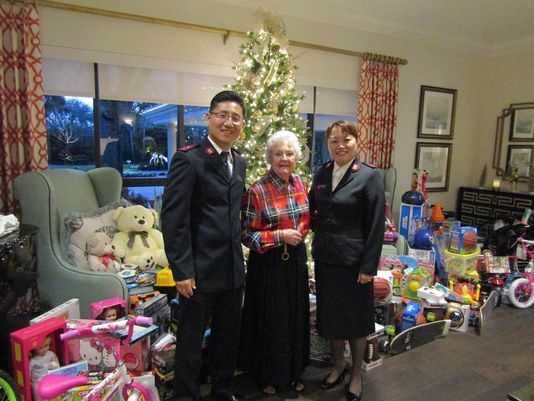 The collection of toys and other gifts is a tradition that began 14 years ago at Piper’s Landing to support the Salvation Army’s local Angel Tree Program, which helps to light up the lives of more than 1,400 children in need in Martin County. In 2003, resident Jeanne Lambdin introduced Piper’s Landing to the Angel Tree program, an initiative created to fulfill the individual requests of Martin County families in need during the holidays. The program got its name because the local children identify their gift wishes on greeting cards that feature pictures of angels. The cards are then hung on Christmas trees to allow supporters to choose one or more children to help.